When it comes to grilling, there is one brand that you will think of - the Weber Grills. If you check out some of Weber Q1200 review, you will find out what makes it the best choice for grilling. The brand has been manufacturing quality and dependable grills for 66 years. They are famous for their Q grill series. If you wish to go straight into the final verdict, here is a quick recap on what we think about Weber Q1200. Sales, parts, and service are readily available, so you don't have to worry in case you need one. The grills made by Weber are well-constructed and provides lots of space and power. We will evaluate Weber Q1200 based on its performance, design, value and other features. Why Should You Consider Weber? The best way to enjoy summer is to have a barbecue party with your relatives and friends. In connection with this, you need the best type of equipment like the Weber grills. You might be wondering why you should choose Weber. There are lots of reasons to consider. One is because the brand is known for continuously modifying their products to cope up with the changing needs of times. This means you are assured you will have updated griller with the latest features. The grills made by Weber can cater to bigger groups. It has a bigger cooking area and individual burner ignition technology. This makes Weber reliable and versatile barbecue equipment. The brand offers a wide range of products to choose from depending on your preferences and needs. 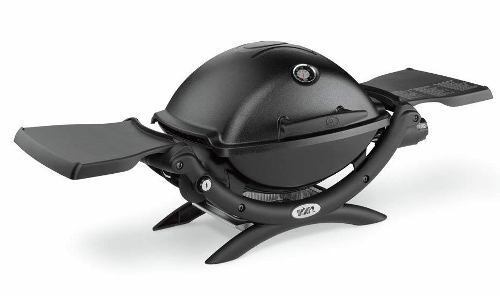 If you are into serious grilling device, you can select the Weber Q1200. The unit has lots of features to offer that you will surely love. 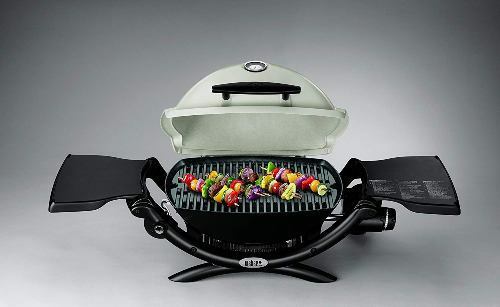 Weber Q1200 is one of the 3 grills in the Q1000 series. It is a propane gas portable grill with exciting new features. At present, it is available in 8 different colors, and you can purchase some of its accessories separately. Below are some of its amazing features. This grill has a single stainless steel burner that provides 8500 BTUs. The Q1200 heats up efficiently, cooks evenly and creates beautiful char markings. Cooking time of this grill will exceed your expectations. The Weber Q1200 makes grilling easy and enjoyable. It has an easy push-button electronic control. Just press on the button every time you need to use the grill. It has infinite control burner with a built-in temperature gauge to adjust the flame to low, medium and high settings. Q1200 cools down easily when the lid is open, so if you are doing your flipping, make it fast. The regulator is attached correctly, and the grease trap is bigger, to take on and off easily, and with a disposable aluminum insert. This grill is quite heavy for a tabletop grill, and it weighs around 31 pounds. Weber Q1200 has a cast aluminum lid and body which makes it rust-free. It also has a glass-reinforced nylon frame. Weber is durable and sturdy and will surely last a very long time. The Q1200 model is simple but challenging to transport because you will be carrying it by hand. Positioned underneath the right handle is the regulator. This means that it is impossible for you to hold the handle around because of the propane bottle. When you are trying to connect the Weber Q1200 propane tank, it is best to slowly pull the regulator away from the main body to the lineup and thread it between the regulator and the canister. The Weber side table folds inside for easy travel, but you need to make sure that it is very cool before doing it. The table is made of plastic, and it could melt if you fold it while it is still hot. The cover is heavy, so it does not do much moving around. It has 189 square inches cooking grates of porcelain-enameled cast iron. The cooking area can hold a large amount of food. Cleaning the Weber Q1200 is easy clean it using a sponge and soapy water. You can even put it in the dishwasher. It is a non-stick griller, so you don't have to oil the cast iron. To preserve the surface of the cooking grate, don’t use a wire or metal brush to clean it. Or you may learn how to season the cast iron grill so it can last longer. Even if the product is one of the most expensive grills in the market today, its features and what it can provide are worth it. It is also available in 8 colors or designed with one of 8 different University football team logos. The Weber grills with football logo design are less expensive as compared to non-logoed versions. If you need to travel around the country using your RV, this equipment is a good choice. You can swiftly go from your RV storage to the picnic area. For those who are into tailgating parties in their local parking lot, this is an excellent grill to use. 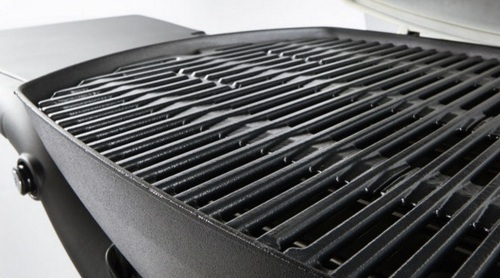 There is a slight buildup under the grill, which makes it perfect for sitting on a tailgate. If you have community events regularly, then this Weber grill is a good companion. 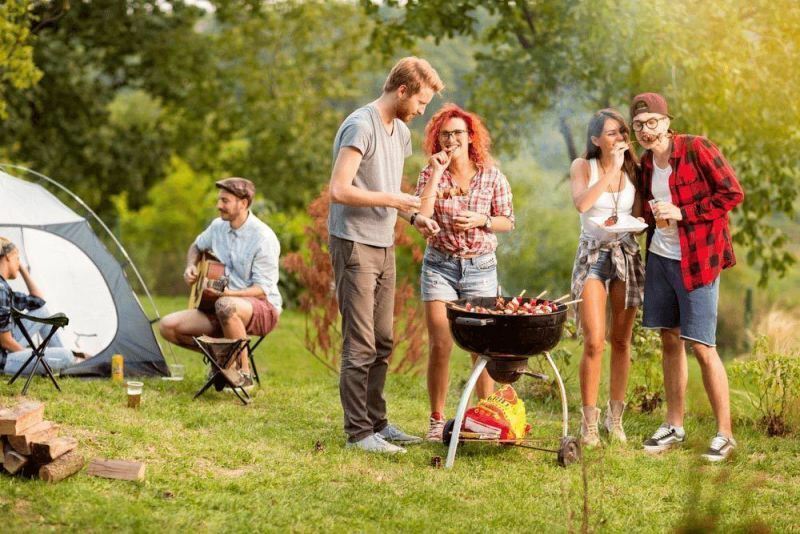 There are lots of BBQ events, and church picnics that have used Weber Q portable grill and most of them are satisfied with what it can provide. Weber Q1200 is also perfect for anyone who lives in an apartment with limited space for a grill or need something that is easy to transport from home to the grilling area this cooking equipment fits perfectly. If you choose to connect a more economical and refillable 20-pound propane cylinder, you can do so. All you need is to purchase some Weber Q1200 accessories such as adapter and hose. 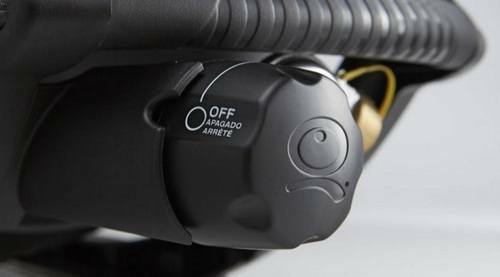 You can also use your RV’s low-pressure quick disconnect line to your Q grill by purchasing an aftermarket kit. 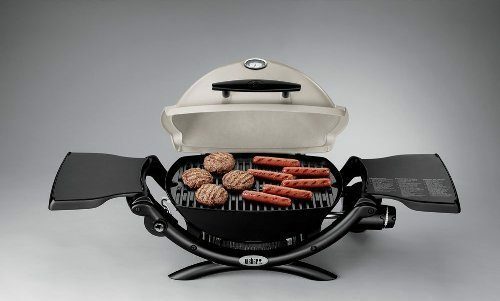 The Q2200 and Q1200 are two of Weber's most popular gas grills. They both belong to the portable/tabletop section, and they offer a lot of value to the table. When it comes to the cooking area, Q1200 can accommodate 8 regular size hamburgers while Weber Q2200 can fit 11. When it comes to burner and heat, the Q1200 has a single burner that provides 8500 BTU while Q2200 also has a single burner but with 12,000 BTU. Both models have a D-burner that spreads the heat evenly around the dome. Q1200 has the following dimensions 24.4” x 40.9” x 20.5” inches against Q2200’s 26” x 51.4” x 25.1” inches. So these two Weber grills differ only in heat output, cooking space and the dimensions. Both of them use electronic ignition, has built-in lid thermometers, a glass reinforced nylon frame, and cooking grates of porcelain-enameled, cast-iron. Your outdoor party and events will not be complete without the Weber Q1200. With this grill, you will be assured that you will get to cook your barbecue on time and well-done. This Weber Q1200 review rates this product 4.4 stars out of possible 5.